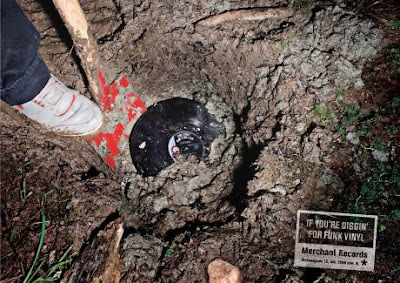 These ads for Merchant Records popped up on Ads of the World today - I like the idea, though i might have executed it differently, done it animated, or as a kid in a sandbox or something - regardless I like vinyl in advertising - makes me smile. Also, i have records on the brain as I met my wedding DJ last night - who knew it'd make me so excited?! ps. i know i said these and only posted one ad, they are all the same basically the same with different shoes, the shortcomings of the campaign.